The head of the prison and probation service says there is a small but “significant risk” of Muslim prisoners becoming radicalised. Panorama spoke to one convict who was met by Islamic extremists when he was released from prison. Michael Coe went into prison as a gangster and left as Mikaeel Ibrahim, a convert to Islam. In 2006 he had been jailed for eight years after threatening police officers with a shotgun while on parole for a knifepoint carjacking. Ibrahim converted to Islam later that year after meeting al-Qaeda terrorist Dhiren Barot, who was jailed for life for plotting to detonate limousines packed with gas canisters. Barot gave him the invitation to Islam, the Dawah. “Within that week the Dawah that he gave me, it hit me where no-one else’s Dawah hit me,” Ibrahim said. But what attracted this 33-year-old east Londoner to Islam? “Even though I wasn’t Muslim, I always hung around with Muslims and after a little time it rubs off on you… in the end I decided this is the way forward and my life has been much better since,” he explained. BBC Panorama met him in December 2013 when he was released from Manchester Prison into the arms of two convicted extremists – Abdul Muhid and Mizanur Rahman. “Obviously the love of the brotherhood is large, they come to get me, they come to bring me back 300-odd miles and I love them for the sake of Allah,” Ibrahim explained. Muhid and Rahman were jailed following the 2006 Danish embassy protests in London against a cartoonist accused of belittling the Prophet Mohammad. Waiting outside the prison, Rahman told us he was not worried about what the authorities might think about the fact they had come to meet Ibrahim. “The police are on the witch-hunts so they will have an attitude of: ‘What are they up to?’ Forget about the fact that he needs to get from Manchester to London somehow,” he said. Inmates who are identified as a potential threat because of their extreme views are usually met by the police or probation service when they are released on licence, but this did not apply to Ibrahim as he had completed his entire sentence. Four days after leaving prison Ibrahim took part in a protest at Brick Lane in east London against the sale of alcohol, organised by the men who met him from prison. 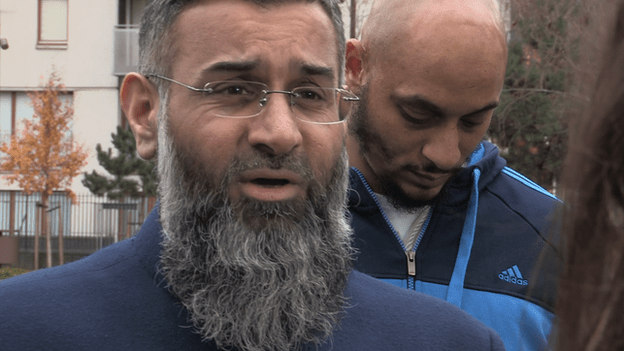 They follow radical preacher Anjem Choudary – a one-time key player of the radical group al-Muhajiroun, until it was banned under the Prevention of Terrorism Act. Ibrahim has never been on a government de-radicalisation programme in or outside prison and does not think he needs to. “I follow the rules of Islam to a ‘T’. What the other people who have ulterior motives deem as extreme is their business. For me, I’m not an extremist,” he said. Panorama also spoke to Jordan Horner, who has taken the Islamic name Jamaal Uddin. He was jailed in December 2013 for trying to bring Sharia Law to the streets of east London. He said that he had been instrumental in converting other prisoners inside. “The prison officers witnessed people become Muslim and in front of them I was giving them what we call Shahada, an invitation and acceptance of Islam. After his release in February 2014, he became the first person to be placed on a five-year, landmark antisocial behaviour order, intended to stop him promoting extreme versions of Islam. Over the last 10 years, the number of Muslims in prisons in England and Wales has doubled to nearly 12,000, Ministry of Justice figures show. The vast majority are moderate. However, there are around 100 Islamist terrorists in prison. The Prison Service claims that the radicalisation of Muslim inmates is rare. But when it happens it can be serious. 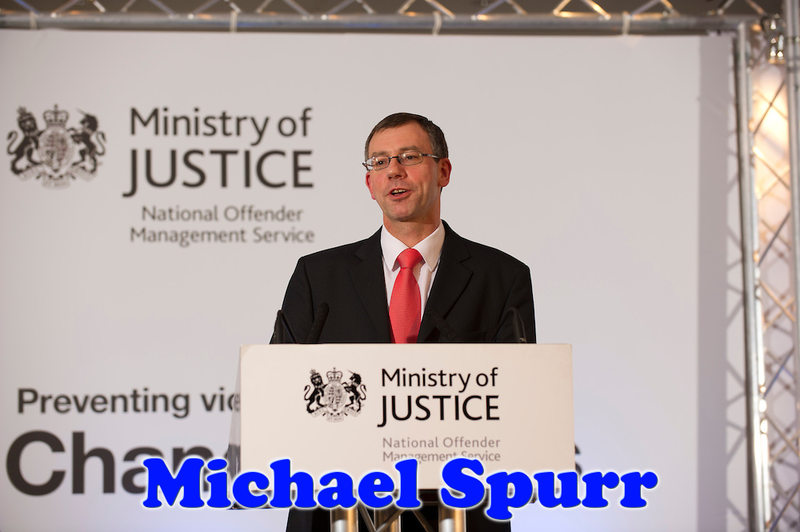 Michael Spurr, chief executive of the National Offender Management Service, said: “What concerns me most is that there is a significant risk, given the fact that we manage some very dangerous people. And our job is to minimise that risk becoming a reality – so minimise the risk that somebody in prison becomes radicalised and commits a terrorist offence. So what are the authorities doing? One tactic is to transfer inmates in order to stop them spreading their views and establishing a hierarchy. There are de-radicalisation programmes but they are voluntary. The Prison Service also appoints specially-vetted imams into prisons. Whitemoor high-security prison in Cambridgeshire has the highest proportion of Muslim inmates, more than 40%. Governor Damian Evans believes it would be wrong to view them through the lens of extremism. “It is very important that we recognise that the vast majority of practice of Islam within prison is fundamentally a good thing. Islam can very often provide good opportunities for personal change and development,” he told the BBC. The prison houses about 10 convicted terrorists and three times as many with extremist views, but Mr Evans says his staff are trained to gather intelligence and form good relationships with prisoners. 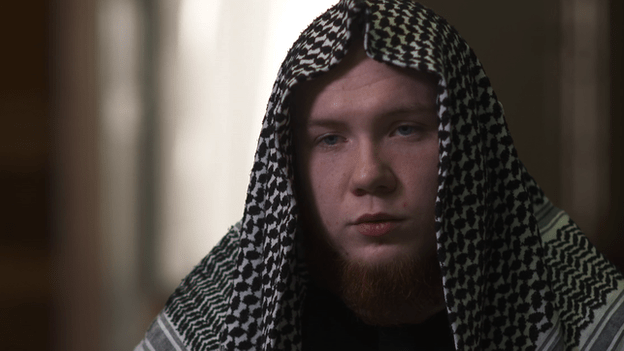 Panorama: From Jail to Jihad? BBC One, Monday 12 May April at 20:30 BST and then available in the UK on the BBC iPlayer.